CARFAX 1 owner and buyback guarantee.. Big grins!! SAVE AT THE PUMP!!! 28 MPG Hwy!!! This rip-roaring Vehicle, with its grippy AWD, will handle anything mother nature decides to throw at you*** Chevrolet CERTIFIED*** This awesome LT is just waiting to bring the right owner lots of joy and happiness with years of trouble-free use... 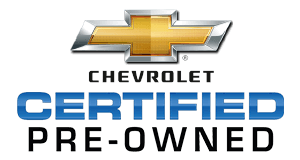 Optional equipment includes: Convenience Package, Illuminated Door Sill Plates (LPO), Interior Protection Package (LPO), Cargo Area Close-Out Panel (LPO), Black All-Weather Rear Cargo Mat (LPO), Set of 4 Wheel Locks (LPO)...Chevrolet Certified Pre-Owned means that you not only get the reassurance of a 12mo/12,000 mile Bumper-to-Bumper limited warranty and a 2 year/24,000 mile Standard CPO Maintenance Plan, but also up to a 6-Year/100,000-Mile Powertrain Limited Warranty, a 172-point inspection and reconditioning process, 24hr roadside assistance, and a complete vehicle history report.